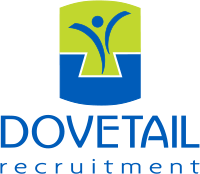 We specialise in getting our candidates jobs in Bournemouth and Poole, and the surrounding areas. So you’re looking for something more inspiring, satisfying or maybe something that’s more ‘you’. We get that, and you’ve come to the right place. We specialise in finding people the jobs they want, not need. Whether you’re after a permanent, contract or interim position, our team of experienced recruitment consultants will help you find the position you want and are suited to. We have a varied range of jobs in Bournemouth and Poole and across Dorset and Hampshire. For us, time spent with you is time well spent. We’ll sit down and listen to exactly what it is you want. So leave nothing out because it helps us search for something that’s more suited to you. Tell us about the type of work you want to do, to the type of companies you want to do it for. The clearer picture we’ve got, the sooner we can get you into a position that puts a smile on your face. We’ve been around a while, and over the years we’ve built up some great contacts with all sorts of local businesses and companies. That means we hear about a whole variety of jobs in Bournemouth and Poole. Equally, we’ll let our network of people know that you’re available and an excellent prospect. Take a look at How to write the perfect CV and our interview tips below. Everything you need to land the perfect job. We've gathered our best top tips to get you that dream interview. Download now and get that next job. Which sector are you looking for a new role in? When you’ve applied for dozens of jobs, actually landing an interview can seem like a major accomplishment. And it is. But don’t just be happy to get an interview – work hard to make sure you nail the interview. 1. Be likable. Obvious? Absolutely – but you’d be amazed by how many people don’t try to be likeable at all – much less try to be remarkably likeable. Making a great first impression and establishing a real connection is everything. Smile, make eye contact, be enthusiastic, sit forward in your chair, use the interviewer’s name… be yourself but be the best version of yourself possible. We all want to work with people we like – and who like us. Use that basic fact to your advantage. Surprisingly few candidates do. 2. Use body language to your advantage. How you sit, stand, and move can sometimes matter more than what you say. You can easily improve your body language – it just takes a little thought and preparation. The right postures and gestures can help you come across smart, open, engaging, less stressed… all of which contributes to making an awesome impression. 3. Know the company – and some of the key players. Don’t just do a quick Google search. Look for current and past employees on LinkedIn. See where they worked previously. If they’ve moved on, see where they went. Get a feel for career progressions. A little time and thought will show you what skills the company values, its areas of growth, why employees come and go… never forget that companies are a collection of individuals, and each individual has a story to tell. And definitely research the person(s) who will interview you. (How will you know ahead of time who will interview you? Ask.) Use what you learn to help establish a rapport and connection with the interviewer. 4. Set a hook. A sad truth of interviewing is that later we often don’t remember a tremendous amount about you – especially if we’ve interviewed a number of candidates for the same position. Of course you don’t have to be The Most Interesting Man in the World. Your hook can be simple, like clothing (within reason), or an outside interest, or an unusual fact about your experience or career. Hooks make you memorable and create an anchor for interviewers to remember you by – and being memorable is everything. 5. Be ready for unusual questions. Most people know a number of standard behavioral questions like these. (A quick search will uncover hundreds more possibilities.) Those kinds of questions – as long as you’re qualified and experienced – are easy to answer. Then go a step farther. Prepare for odd or unusual questions. A friend likes to challenge job candidates. Another has three questions he asks candidates about each of their past jobs. Talk to friends, check out message boards… while you can’t prepare for every possibility, the more you consider what you might be asked, the quicker you’ll be able to think on your feet if you are surprised. And never be afraid to say, “Give me a second to think about that.” Smart interviewers don’t care if you need a few seconds to reflect; quality, not speed, is what matters most. 6. Describe what you can offer immediately. Researching the company is a given; go a step farther and find a way you can hit the ground running or contribute to a critical area. If you have a specific technical skill, show how it can be leveraged immediately. Think hard about what makes you special and then show how those skills will instantly benefit the company. Always remember that hiring an employee is an investment, and everyone wants to see a return on their investments. 7. Avoid leaving negative sound bites. Just like with your hook, most interviewers will only remember a few sound bites from your conversation – especially if they are negative. Whenever possible don’t say, “I can’t,” or “I haven’t,” or “I don’t.” Share applicable experience and find the positives in what you can do, have done, and are eager to do. No matter what the subject, stay positive – after all, your worst mistake is also your best learning experience. 8. Ask questions that really matter. Rule number one: never ask a question you could have answered through a Google or LinkedIn search. Asking those kinds of questions isn’t just lazy, it shows a total lack of respect for the interviewer’s time. And don’t be afraid to ask a number of questions. As long as you don’t completely take over, the interviewer will enjoy and remember your conversation as a nice change of pace. 9. Ask for the job – with solid justification. By the end of the interview you should have a good sense of whether you want the job. If you need more information, say so. Otherwise use your sales skills and ask for the job. (Don’t worry; we like when you ask.) Focus on specific aspects of the job: explain you work best on a team, or thrive in unsupervised roles, or get a charge from frequent travel… ask for the job and use facts to prove you want and deserve it. The better the interview – and more closely you listened – the easier it will be to think of ways you can make following up seem natural and unforced. And always make sure you say thanks. Never underestimate the power of gratitude.